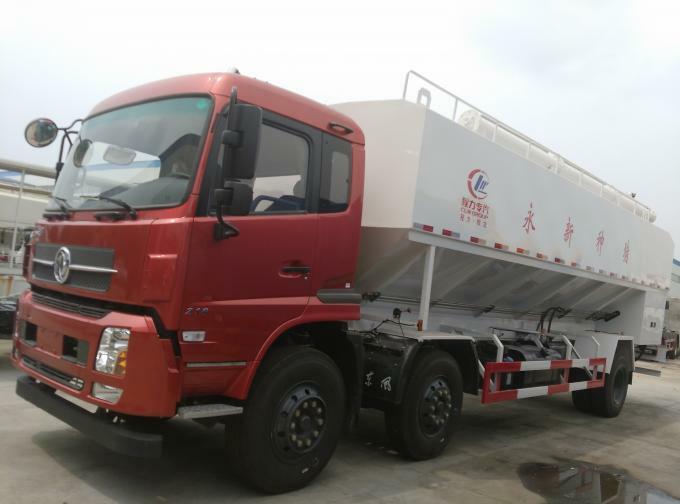 The bulk feed transport truck is made up of special vehicle chassis, loading feeds tanker, discharging auger, and the electronic hydraulic operation system, etc. the tanker adopts the high quality carbon sheets. And the tanker can be divided into some wareroom, loading and discharging different feeds. 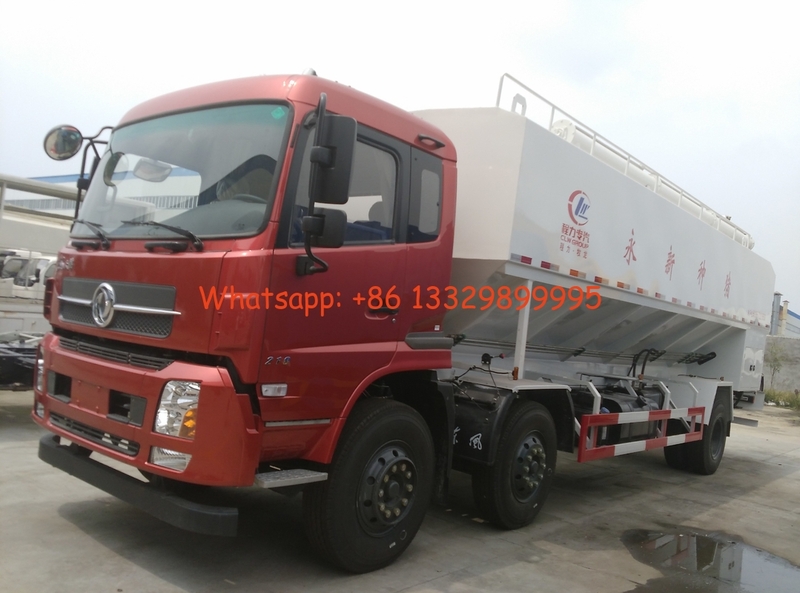 The bulk feed transport truck is widely suitable for the feeds factories, big-size farms, etc. 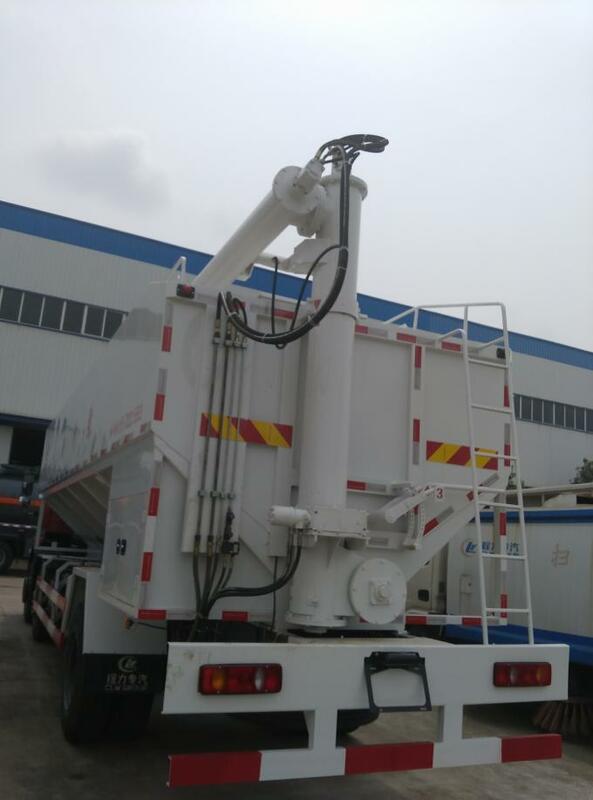 There are two types of the bulk feeds delivery truck, electronic auger type, for three phase electronic power equipped places; hydraulic auger type, for without electronic power places, etc. Chengli Special Automobile Co.,Ltd is a well-known manufacturer of landscaping, petrochemical, municipal sanitation, pressure vessels, special purpose vehicle, etc. More information, please contact Ms. Anita Deng. If you're interested in our poultry feed truck, please send email to szhj9999@163.com or call +86 13886878855. The bulk feed tank volume is 30cbm(can be loaded 10on feeds according to the density of the bulk feeds), adopting hydraulic auger system, then working. Hydraulic system auger for discharging. The feed tank is usually with 3 compartments, loading and discharging with three different kinds feeds. Simple unit structures. hydraulic cabinet unity is at the rear part of the tank. Easy and flexible to operate and maintenance. More information, please feel free to contact Ms. Anita Deng.